“I love doing things that are out of my comfort zone, which is a lot of things. 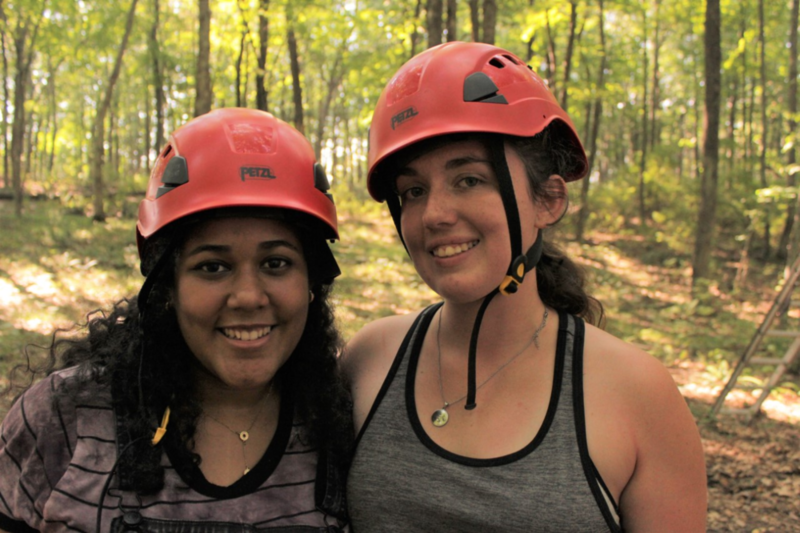 My friend, Brianna, and I had just gotten down from an obstacle course when this picture was taken. We were up in a tree that was about 20 feet up in the air, and we were held only by safety ropes as we walked across two tightropes while our hands were intertwined in order to not fall down. When we were doing this, I was the first to raise my hand to volunteer, even though it looked super scary. After the experience I felt that I had accomplished something I may not get the chance to do again, and I was glad I put my fears aside to do that.